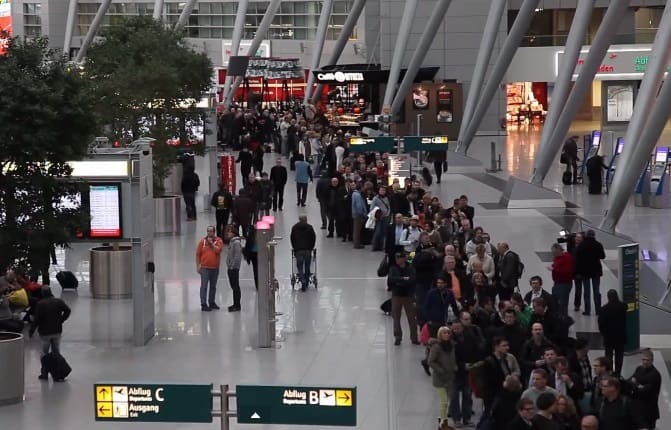 It is a common sense to guess, which are the busiest airports in Europe. Anybody would try with Heathrow, Frankfurt, Charles de Gaulle and then a fast check would confirm it. Yes, the airports mentioned above are really busy, but as hubs of British Airways, Lufthansa and Air France many are transit passengers. A question hard to answer is: Which are the busiest air routes in Europe? Deep thinking would not help a lot. The answer of this question requires data collecting. We turned to the Eurostat database and after a few hours, based on data for the first half of 2013, we managed to pack a list of the top 10 busiest routes in Europe. It turned out that the top is occupied only by national flights between Spanish, Norwegian, Italian, French, German and British cities. It is highly improbable FC Barcelona and Real Madrid play more than twice a year, so if a flight from Barcelona to Madrid takes 75 minutes and this is the busiest route, then how busy would be the AVE, which is only 95 minutes slower? Not to mention that, the airport check-in, the departure and time from Airport to city would inevitably cost more than the travel-time difference. Simple calculations show that soon this Air Route would be replaced by Ave, something that was already done by Eurostar with London-Paris/Brussels and TGV with Paris – Lyon routes. Fast Train, Empty Plane. Number 2 to 10 look pretty logical, especially when transport alternatives, terrains and distances between some of the cities, human and economic development indexes are taken into consideration. As already mentioned above, not a single of the international European air-routes could make it for the top 10. Here is a list of the top 10 International flights in Europe.